There is no one definition that defines abuse, and there is no “typical” victim description. Here's what you need to know about domestic violence. WASHINGTON — Each minute, nearly 20 people in the U.S. are physically abused by an intimate partner, making one in four women and one in seven men victims of domestic violence. The D.C. area is not immune to these trends. 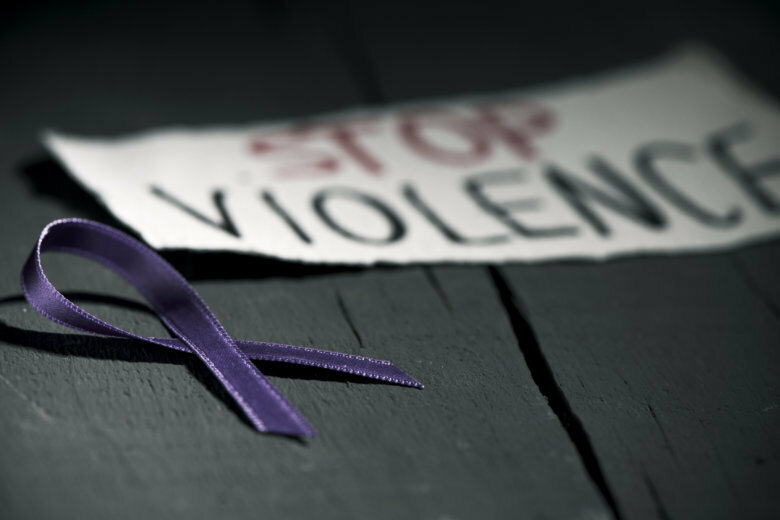 In 2012, 34 percent of all Virginia homicides were attributed to domestic violence-related causes, according to statistics from the National Coalition Against Domestic Violence. That same year, 50 Maryland residents lost their lives to domestic violence, and in 2013, D.C.’s Metropolitan Police Department received 1,000 more domestic violence-related calls than it did the year prior. October is Domestic Violence Awareness Month, and the experts at DASH, a D.C.-based nonprofit and domestic violence shelter, shared some facts on domestic violence, plus some ways the public can help local survivors. The thing about domestic violence is there is no one definition that defines abuse, and there is no “typical” victim description. “For some people it’s physical abuse; for some people it’s sexual; for some, it’s financial abuse. It comes in several different forms,” said DASH Executive Director Koube Ngaaje. Michelle Linzy, model practices coordinator at DASH, said the common thread in all forms of domestic violence is the “power and control piece,” where the abuser might not let the abused interact with friends, go to work or even eat. And because domestic abuse occurs in one out of every four women, it spans socioeconomic and cultural demographics. “A survivor can be anybody. It can be the person who’s sitting behind you on the bus; it can be your co-worker; it can be your son, your daughter, your mother,” Ngaaje added. In these instances, survivors might not speak out until after the abuse has gone on for a while. “There are so many reasons why individuals wait to tell or may never ever tell. So when a person does tell, they want to be believed, they want someone to help them. But if they’re hearing all around in their families, people talking about abuse like it’s OK, then it’s difficult for a person to move forward or to even think about getting out,” Linzy said. Why don’t victims who recognize they’re being abused leave? That’s an oversimplified solution for such a complicated issue. Linzy explained many victims are dependent on their abusers — whether that’s for financial reasons or because kids are in the picture. Leaving the relationship means risking stability, or worse, losing family members. When people do decide to leave a domestic violence situation, it’s rarely an impulsive decision. “For many survivors, it takes as many as five-to-seven times before you’re able to leave an abusive relationship for good,” Ngaaje said. According to a report from the Women’s Task Force of the District of Columbia Interagency Council on Homelessness, nearly one-third of women reported violence was the cause of their homelessness or housing instability. DASH is one local organization that helps house survivors of domestic violence. Each week, DASH holds a housing resource clinic at the Westminster Presbyterian Church in Southwest, D.C., and offers information on housing solutions, plus counseling and legal help from partnering organizations. With months that recognize domestic violence and with movements like #MeToo, Ngaaje said awareness around the issue is growing, but she hopes to see more energy and action funneled into solving the issue of domestic violence through preventive and proactive measures. “We encourage people to really move beyond the surface-level awareness and really move into action in how they can be part of the solution to not only talk about domestic violence, but when they do encounter it, because it is so prevalent … to work with local organizations like DASH and other partner agencies to make a difference in the lives of all survivors,” Ngaaje said. DASH is hosting a happy hour on Tuesday, Oct. 16 at Dacha beer garden from 4 to 8 p.m. A $10 wristband gets visitors an extended happy hour, and all proceeds benefit DASH. Can’t make it? Ngaaje also suggests hosting your own “Denim for DV” day at your convenience in your office. Have your co-workers chip in $5 to wear jeans for a day and donate the proceeds to DASH. More information is available on DASH’s website.